MANILA -- Opposition slate Otso Diretso has asked a church-based election watchdog's help in mounting a debate with administration-backed candidates, senatorial candidate Romulo Macalintal said Tuesday. Otso Diretso earlier asked the Commission on Elections to host a debate for Senate aspirants, but the poll body said there was not enough time to do so. “Ipinararating namin sa PPCRV (Parish Pastoral Council for Responsible Voting ) na baka naman pwede silang makatulong sa bagay na ito,” Macalintal told reporters at a campaign sortie in Mandaluyong. A debate will allow candidates to tackle administration-backed policies like the tax reform and rice tariffication laws, he said. "There is no Senate without debate and I am looking at the Comelec eye to eye," said opposition bet Samira Gutoc. "Don’t give us a dumb Senate, na umoo na lang sa kabastusan at karahasan (that just say yes to obscenity and violence),” Gutoc said. Her ally Chel Diokno, meanwhile, said he was ready to debate with anyone, anytime. Davao City Mayor Sara Duterte-Carpio, chairperson of regional party Hugpong ng Pagbabago, has called for a rules-based debate organized by a third party. Her administration-backed slate has 13 candidates, including 5 member of her father's party, PDP-Laban. 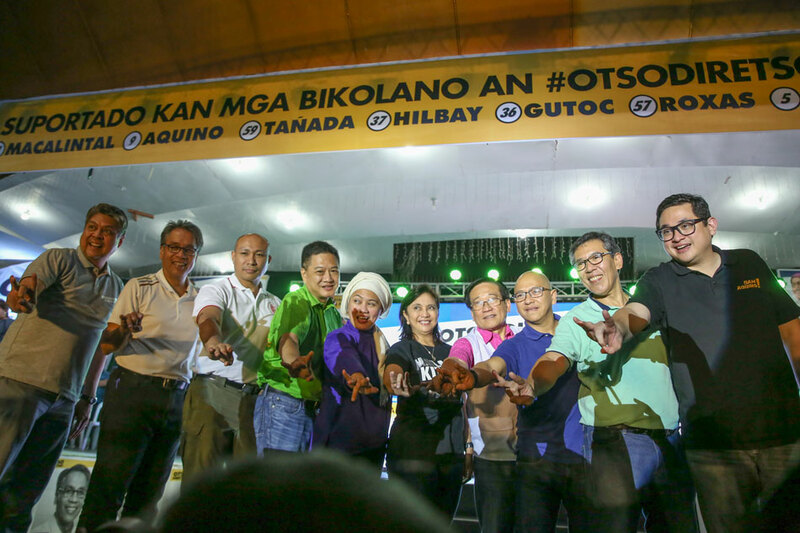 The PDP-Laban is willing to debate with Otso Diretso, but has a "scheduling problem" given the dozens of campaign sorties it has lined up, said party president and reelectionist Sen. Aquilino "Koko" Pimentel III. Hugpong ng Pagbabago party chair, Sara Duterte-Carpio earlier hit Otso Diretso for its "fixation" over a debate. The Davao mayor also told the opposition candidates not to boss her around.